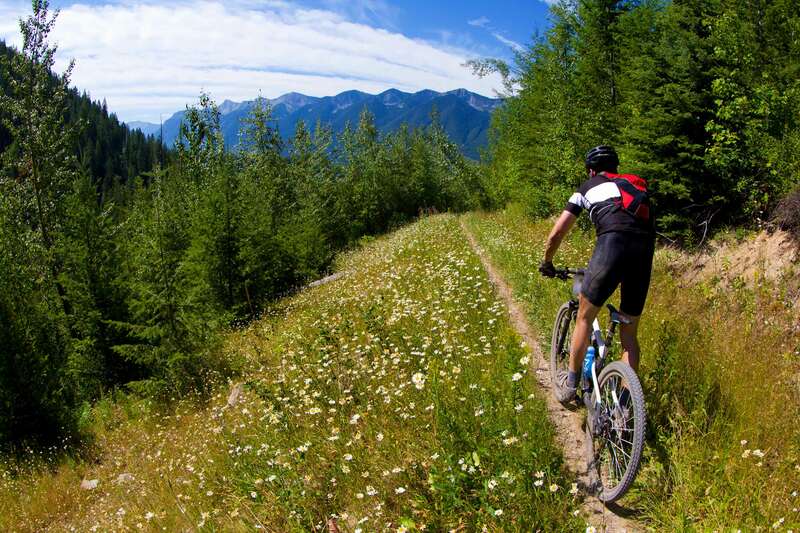 USA Canada Guided Group Mountain Bike Holidays | travel&co. 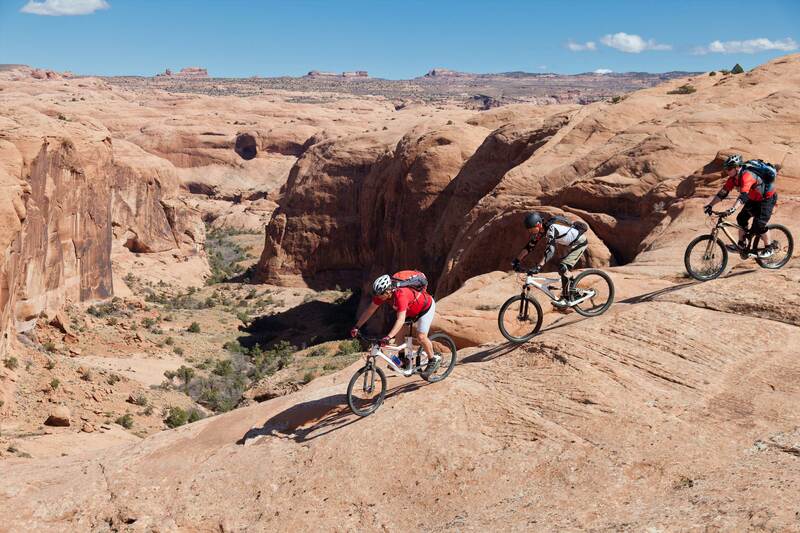 Spectacular and hassle free, our action packed Mountain Bike Guided Tours take you to the world’s best mountain biking destinations across Canada and the USA to ride core mountain bike trails in Colorado, New Mexico, Utah and British Columbia. 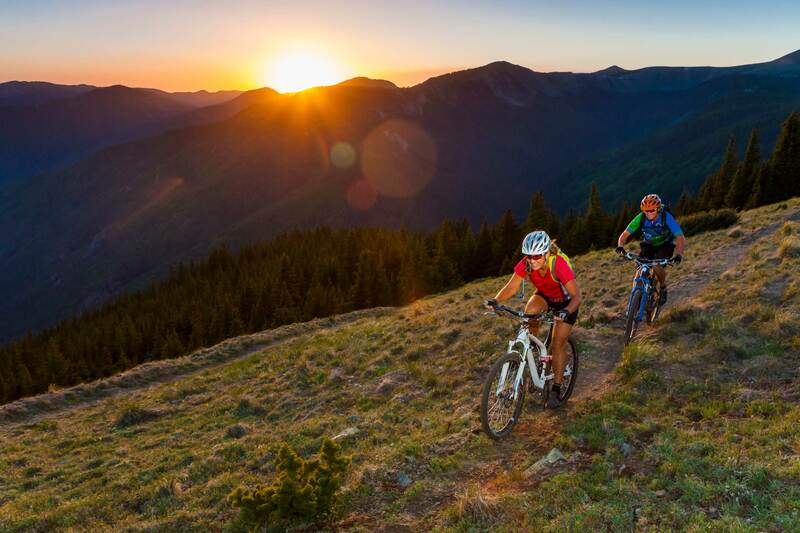 From deserts and canyons to tree trails, high alpine passes and downhill tracks, travel&co can get you to ultimate mountain bike destinations for ‘beyond ordinary’ guided tours. From three days to three weeks (and beyond), these guided tours are the pinnacle of hassle-free mountain biking experiences. Professional local mountain bike experts and their support crew will take you on the ride of your life. Their passion for everything “mountain bike” is undeniable and infectious. The guides know the trails like the back of their hands, they know their secrets and are ready to share it all with you. It really is hard to beat the freedom and thrill of USA and Canadian mountain bike experiences especially when all the planning is taken care of for you. All you need to do is enjoy the ride! Whether it’s with your closest mates, family or like-minded bike enthusiasts you’ll get the experience you want, so talk to our Active Travel Experts who can steer you in the direction of an unforgettable two-wheel adventure in the world’s best bike trails. Our Active Travel Experts work closely with you to personalise all aspects of your trip to make sure you’re getting exactly what you want in terms of the ideal location, terrain, ride type and even the right demo bikes. 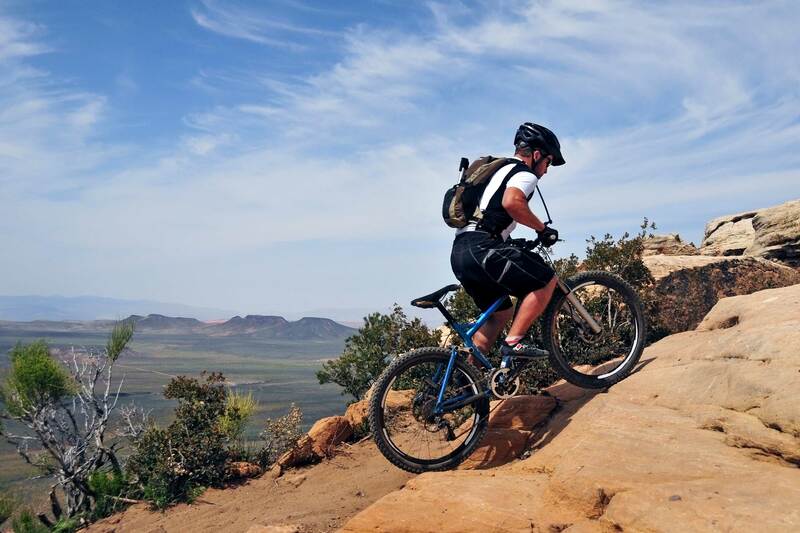 The guided tours include professional mountain bike guides. Not only are the local experts but they are some of the most respected, revered riders and racers on the mountain biking scene. Every guide is committed to your safety, is at the ready to answer questions, help with any mechanical requirements, plus anything else you need during your ride. They cover it all while making sure you are having a great time too! Depending on the package, once you are at the initial trip meeting location there will be support vehicles/ shuttle vans for transportation, up to two guides or a guide and trip leader available as your support crew. Get pumped with the latest and greatest mountain bikes. We think if you’re riding the best trails why not ride them on amazing high-end demo bikes tuned to the trails you’ll be riding. Our packages can provide you with these incredible high-end mountain bikes matched to the beyond ordinary trails you’ll be riding. But if you really just can’t bare to be without your own bike, our guided tours can provide options to take and ride your own. Our Guided Tour packages cater to the fact that, as mountain bikers, you’ll need to refuel and do it well. Breakfasts can be catered or delivered from a local bakery or deli to give you plenty of fuel for your morning ride. Dinner options included dining out as a group, bringing in a catered dinner from a local restaurant, or even a BBQ (they might call it a “grill out”) if the accommodation allows. Lunch or food for during the ride provides the best in ride nutrition; lots of options to choose from including multiple energy bars, gels, and mixes. There’s plenty of options to satisfy everyone. 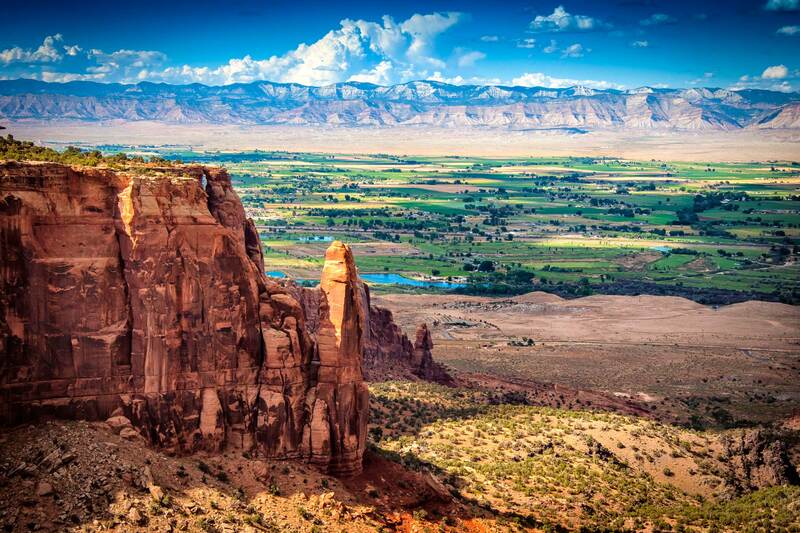 Talk to an Active Travel Expert about our mountain bike experiences to the USA: Colorado – Fruita and Grand Junction, New Mexico – Angel Fire and Taos, Utah – Moab and St George and Canada’s British Columbia – Fernie and Whistler.